Highlighted by wood legs, this beautiful loveseat will completed your transitional home space. Featuring exceptionally comfortable seat and back cushions, the loveseat showcases rolled arms for extended support. 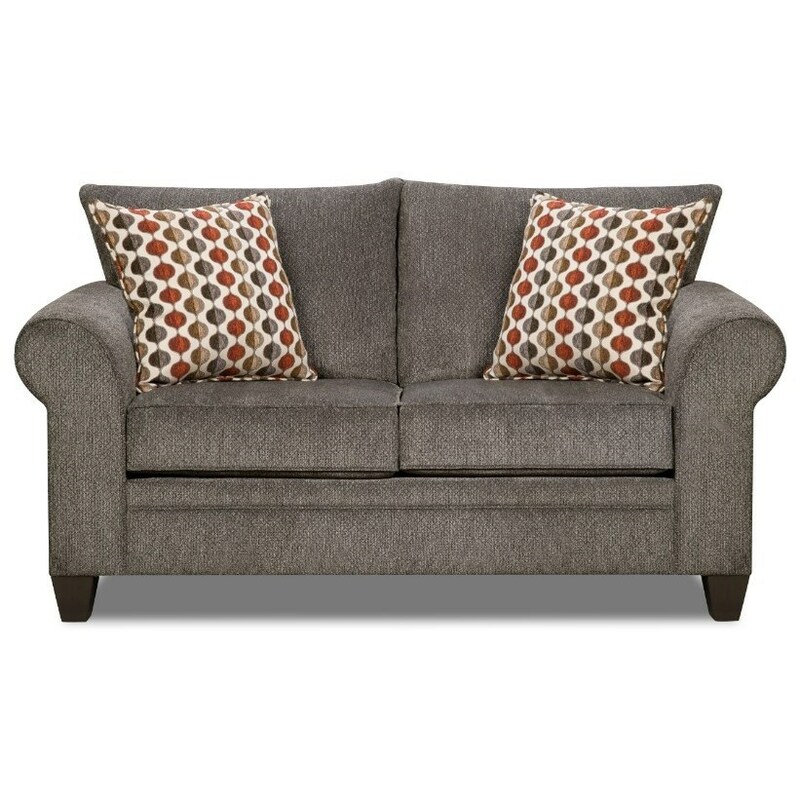 Able to seat two, this loveseat will transform your transitional living room setting. The 1647 Transitional Loveseat with Rolled Arms by VFM Basics at Virginia Furniture Market in the Rocky Mount, Roanoke, Lynchburg, Christiansburg, Blacksburg, Virginia area. Product availability may vary. Contact us for the most current availability on this product. This beautiful collection presents transitional living room furnishings for your modern home. Highlighted by tall wood legs and rolled arms, the pieces feature extended comfort and support. Crafted with cushioned seats and backs, this accommodating collection is a must for your transitional living room space. The 1647 collection is a great option if you are looking for Transitional furniture in the Rocky Mount, Roanoke, Lynchburg, Christiansburg, Blacksburg, Virginia area. Browse other items in the 1647 collection from Virginia Furniture Market in the Rocky Mount, Roanoke, Lynchburg, Christiansburg, Blacksburg, Virginia area.